Tired with ordinary Sudoku? Try my modification! 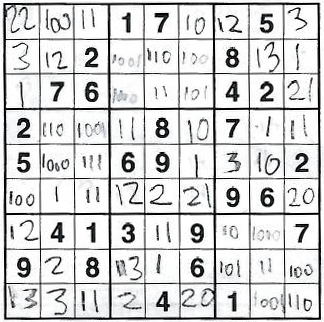 Look at the unsolved puzzle and count the clue numbers in each of the nine 3x3 boxes. Then, when completing the puzzle, use this as the base (radix) for that box. If a box has no clues then use Roman numerals. So in this example, the upper left box uses base three, upper middle box binary, and the upper right base four, etc. Really makes your brain hurt! This blog has ended up being mostly about walking and strange food and drink. How did that happen? 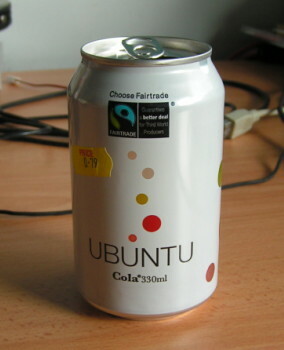 Anyway, I'm sure this is another thing that everyone in the world has heard of apart from me, but today I bought my first can of Ubuntu Cola. I can't find anything on its web site linking it to the better known Ubuntu, but the poster in the shop was taking about it as a Cola for geeks, so they must be aware of it. And the taste? Didn't do much for me, to be honest. Work sent me on the EC-Council Certified Ethical Hacker course the other week, at quite considerable expense. I was looking forward to it - the outline of the course that I was given certainly looked comprehensive and I hoped to learn a great deal. I was even considering forking out the $250 for the examination myself. Well having taken the course, I'd now be wary of employing anyone who thought it was worth the cash to get certified. The material was five years out of date and littered with factual errors, many so bad they were funny. The course consisted of a week long death-by-powerpoint and the three phone-book sized course books were just a copy of the slides. The breadth was enormous but the depth really shallow, and I didn't really learn very much. The course presenter was, to be fair, in better command of the facts than the course material but nevertheless consistently made basic errors. He rounded off the experience with misogynistic "jokes" and anecdotes - yes, this is the IT industry, but it's also 2008 not 1978! One particular pearl I have to pass on. 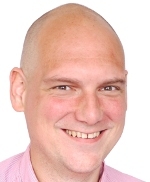 One of the 3000 slides was on vulnerability scanners - software that can scan your computer systems and report any potential security issues with them. One bullet point on this slide mentioned software available for Linux. The software? SANE! Yes the software for scanning and digitising images of bits of paper. It even mentioned parallel and USB scanners! A bit of Googling revealed that someone had simply searched for "Linux scanners" and cut and paste the first bit of text they'd found. I can safely say that it is the worst course I've attended. Ever. I felt like a cheesy radio DJ doing it, but I'm pleased Alice said yes to Ben's marriage proposal on PodQuiz 166. 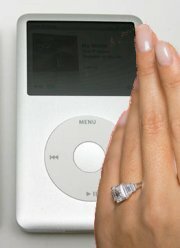 The question is though, is this the first podcast proposal? I'm not sure whether the recent BBC story about the inventors of the Beeb reuniting at the Science Museum was an inspiration to the producers this week's episode of the consumer protection programme Watchdog. The Beeb makes an unlikely appearance in a story about fraudulent online shops, with a green-screen MODE 7 being used for the graphics. I seriously considered giving this an entry at Starring the Computer, but I think it's probably best if I stick to fictional features there. It was too good to let it pass completely, though, so I'm recording it here.